Please note that the closing date for nominations is 28 February. 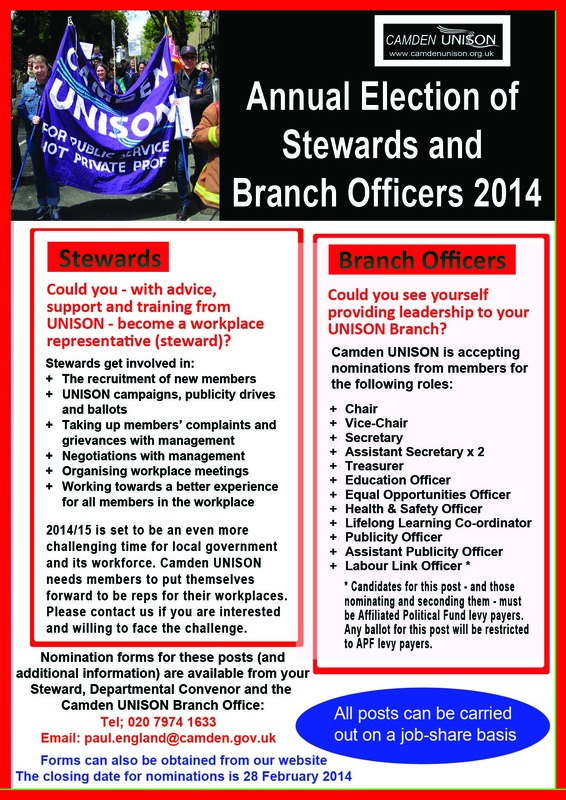 Camden UNISON is looking for people to put their names forward to serve as stewards and branch officers. Do you want to gain knowledge and experience of trade union activity? Do you want to help fight for a better deal for yourself and your colleagues? If so, then please consider becoming a steward for your workplace and/or serving as a branch officer.